With your home’s curb appeal at stake, picking the perfect color for your exteriors is paramount. Color-choosing may seem the most basic task, but it’s surprisingly challenging. A good rule of thumb is to plan around the features that are likely to remain unchanged for a long time. Unless you’re planning a full-blown renovation, base the color of your CT vinyl siding on the hues of your pathways, driveways, stonework, and roof. Generally, its shade should be similar or darker than your foundation’s. If the colors of your fixed features are contrasting, think of any undertones among them that can give you ideas for your palette. Your choice of exterior dominant hue should unite all elements harmoniously. Every home style has its own character and a defining exterior palette that mirrors its historical charm. For instance, earth tones echo the very spirit of the Craftsman style, while tinges of red and brown give Tudor-styled homes their traditional appeal. Unless you live in an abode that’s unique in its own way, the color of your siding in CT should be historically accurate. This way, you can bring out its distinctive identity and highlight its signature elements. Apart from taking your favorite color into account, you need to decide whether you want to fit in or stand out in the neighborhood. The former means emulating the look of other houses in your street while the latter speaks of swimming against the current. Either way, it’s best to heed advice regarding the possible effects of your preferred palette. Whether it’s vertical or horizontal vinyl siding, this material needs no painting. Keeping its factory-coated color is imperative to preserving its low-maintenance advantage. 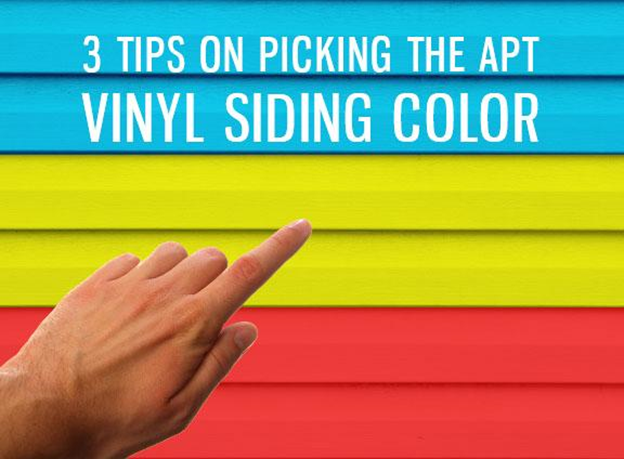 You have to choose the perfect hue, or else you might not enjoy one of the best things homeowners love about vinyl. To talk about your ideas for your home’s exterior color, call Vinylume now at (866) 244-8029.